Need something to listen to? Who doesn’t, right? Let us guide your ears and mind with this selection of some of our favorite EB Radio mixes. In this list you’ll find everything from the booming concrete techno that fills Berlin’s most famous clubs to the warm, sunshine-soaked house music that keeps the open-air parties going all weekend. 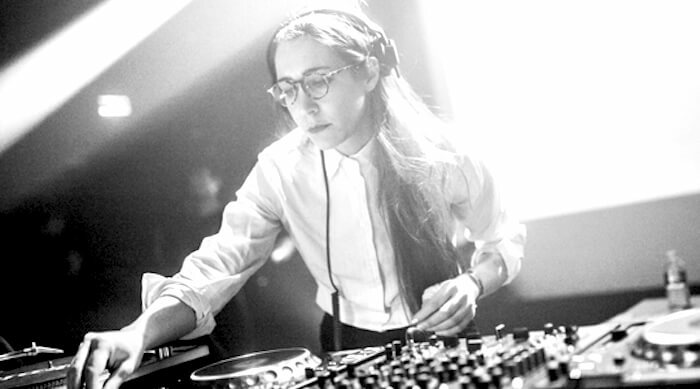 Düsseldorf champion and Salon Des Amateurs resident Lena Willikens brought out some serious vibes for this one. Just like her wicked DJ sets, it’s filled with underground pleasures. From tape jammer Beau Wanzer to disco pioneer Patrick Cowley, you’ll travel across a wide array of weird (but very cohesive) moods. Copenhagen label Posh Isolation continues to consistently deliver some of the most beautifully corrupted sounds that we have ever heard. Label founder Loke Rahbek’s mix is very much in that mold. Embrace the cosmic static of Puce Mary, Varg, Croatian Amor and a walloping dose of his own project Damien Dubrovnik. Celestial Trax is quite possibly the most eclectic mixer to ever grace our series. His shattered club vision is full of genre-crushed treasures that includes Gaika, Kamixlo, Tropic of Cancer and the incredibly underrated NIKE7UP. Plus the mix includes plenty of original unreleased material from Celestial Trax himself. This one’s a true mutant gem. Legendary Japanese DJ Satoshi Tomiie recorded this mix live at Berlin’s Record Loft for Kerri Chandler’s Kaoz Theory pre-party. The sheer amount of heavy house tune weaponry inside will turn your feet to dance floor jelly. The Hacker drops over an hour of pulsating tunes from the likes of Kraftwerk, Phase Fatale, Dopplereffekt, Paranoid London and plenty more. It’s perfect for dark nights and even darker desires. Let Kabuki be your guide with this bass-heavy selection of drum ‘n’ bass and junglist cuts—expect to be battered by Zed Bias, Machinedrum, Synkro, dBridge and more. DJ Hell needs no introduction, so let the Bavarian beast fill your ears with his favorite ’80s flavors! Devo, XTC, The Normal, Killing Joke, Gary Numan, Cabaret Voltaire and others make up this playlist, so if you’ve got retro urges (and a monochrome wardrobe) you’ll feel right at home. Rising Los Angeles musician Kanga’s mix blends anthemic heaviness from the likes of KMFDM, Skinny Puppy, Nine Inch Nails and Thrill Kill Kult. It’s the perfect soundtrack for the Doom Generation. Blast this one as you cruise hard. Berlin-via-San Francisco transplant Avalon Emerson has been on our radar for more then a minute due to her head-turning DJ sets that take you on a journey. From Severed Heads to Patti Smith, her EB mix will keep you going “Damnnnn” until the last second. Los Angeles techno beast Drumcell unleashes the heady and alternate headspace of his most recent alias: Hypoxia. Step into a techno wormhole with the likes of Autechre, Inner 8, Alessandro Cortini and other futuristic producers. It’s just the thing to make your hot nights as cold as the void of space. Leipzig’s Institut für Zukunft is one of Germany’s most progressive clubs—appropriately, resident DJ Subʞutan brings out a forward-thinking mix. Blending beats with field recordings, samples and drones, his transportive sets are the sort of sounds you rarely hear in clubs. Imagine it as a story unfolding in your ears with each piece a part of the last. As a DJ who values the live experience, Move D gave us two hours of his recorded set from the Robert Johnson club in Offenbach am Main, Germany. Expect to hear quality house music from start to finish. For a taste of some of Berlin’s blackest basements, Mike Parker’s mix is the way to go. Travel deep, deep down the aural staircase with the sounds of Donato Dozzy, Zoviet France, Tangerine Dream and other purveyors of synthetic dreams and sound system screams.